Written by Jaxon S on July 17th, 2008 in Sabah Claim. Sabah claimants Sultan Ismael Kiram II and Rajah Muda Agbimuddin Kiram have denied reports from Kota Kinabalu that the heirs of the Sulu sultanate were dropping their claims on North Borneo. “What is being reported that nine principal heirs (dropped the Sabah claim) is not true. I hope the Inquirer will help us straighten facts,” their spokesman, Abraham Idjirani, told the Philippine Daily Inquirer Thursday. The two are presently in Malaysia. In a report on Malaysian newspaper The Star, Datu Omar Ali Datu Backtiyal said Wednesday he had obtained the signatures of the nine heirs of the late Sultan Mohamat Jamal Al Alam agreeing to relinquish their claim on the Malaysian state. At the same time, Putra Eddy Sulaiman, “executive secretary and Keeper of the Royal Seal” of Rodinood Julaspi Kiram II, who claims to be the closest heir to the Sulu sultanate, said Kiram was also dropping the claim on Sabah. Agbimuddin Kiram is the official administrator of Sabah, appointed by his father Sultan Punjungan Kiram, who in turn was appointed administrator of North Borneo by the Sessions Court of North Borneo under Justice Macaskie in 1939. The issue on dropping Sabah claim would require lengthy discussions involving not just the Sulu Sultanate but the United Nations, as well, according to Idjirani. “There are many important issues to be discussed before dropping the Sabah claim and one important issue is the condition and situations surrounding the descendants’ welfare. It is an established fact that the Sabah issue is waiting for the pending resolution at the United Nations,” Idjirani added. The two descendants of the Sultan of Sulu are in Malaysia, but not for the Sabah claim. They have been discussing issues with Datu Omar Ali Dati Backtiyal pertaining to the immediate review of the 1963 Manila Accord that was signed by Malaysia Prime Minister Tongko Abdurahman, Sukarno of Indonesia and President Diosdado Macapagal of the Philippines. The 1963 Manila Accord, according to Idjirani, pertains to the inclusion of Sabah into the Federation of Malaysia that would not prejudice the entry of refugees and interests of the parties concerned. “Sultan Ismael Kiram II is very much concerned about the plight of the refugees and we are here in Malaysia to visit and see for ourselves the situations and conditions of the refugees,” the spokesperson said, referring to the Filipinos who would soon be deported by Sabah. He added that Kiram’s talks with Backtiyal revolved around a joint undertaking that would resolve the refugees’ problems in Sabah, with emphasis on humanitarian concerns. Meanwhile, a lawyer representing the heirs and administrators of the former Sultanate of Sulu branded on Thursday as lies reports that they had dropped the Sabah claim. “We do not have a sultan anymore, who has territory and government. The last sultanate existed up to 1936 only,” he said. Ulama said the claim of Datu Omar Ali Datu Backtiyal about securing the signatures of the nine heirs to the sultanate was not true either. “It will never happen. I have been a lawyer for the heirs of the sultanate and those recognized administrators of the sultanate for 40 years now,” he said. Ulama said it would be impossible for Backtiyal to secure the signatures of the heirs because they already died. “Those must be fake heirs. Only the administrators are living now,” he said. Among the recognized administrators is Datu Esmail Kiram of the Mora Napsa heir, according to Ulama. “He said he descended from Sultan Jamalul Kiram II who has no known heir so he is not real also,” Ulama said. Ulama vowed to come out with an official statement in the next few days to dispute the Backtiyal claim and that of Rodinood. This stupid pirates better deal with Philipines and free themselves instead of trying to claim Sabah whose people NEVER under the rule of anyone. Just because some dillusional idiot say he owns the Island of Borneo does not give him any rights over the people of Borneo nor the land. Only the people who were here for hundreds of years the natives of Borneo have rights over our own place. 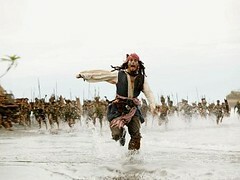 If any of these so called pirates want to come over to Sabah. Please do so, and let’s see if you can leave with your head intact. Fking idiot!!! Go back to being a stupid uneducated terrorists and go blow yourself. I’ve travelled quite a lot in the southern Philippines in 1995-2000 and it’s a shame that the area is mired in poverty. It is really a fertile land, with rolling hills and blue sea and dozens of beautiful islands. But something has gone wrong in the area in the last century and I blamed it squarely on the Sultan of Sulu for failing to reign over the area and the Philippine government for neglecting it. The more undemocratic groups of people claim for separation from the already existed sovereign states like Malaysia, the Philippines, Thailand and Indonesia, the more crises we will face in the near future. Why create trouble when we already have stability? Peace and unity must prevail. This is the very reason why rich and powerful nations like the United States, the European Union and even the former Soviet Union which is now called the Commonwealth of Independent States had their voices heard and so is the United Nations. Not the voice from those like the pirates of the Caribbean. And so does ASEAN our own bloc of nations that advocates integrity for strength and security. For these separatist groups please think not only of others but also the news generations that come from your own flesh and blood. Let us all, the great-great grand children of Abraham, join hands together and make peace with one another in the name of God the Almighty.